Success Strategies employs the use of guided imagery and hypnosis to help clients succeed with smoking cessation. The path to success is a three-session program. After the second session you are a non-smoker. The initial session is a very important session during which we talk about smoking history, patterns, and triggers and the experience of being in a trance. Trance is not done in the initial session. The second session is usually scheduled within a week’s period of time. This is the session in which we use trance to say goodbye to your smoking buddy forever. In the third session, we reinforce your trance. To schedule an appointment to quit smoking, call (512) 329-8088. 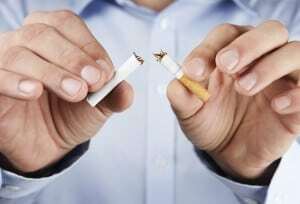 The University of Washington has found hypnotherapy can be effective for over 90% of those trying to quit smoking at 6 month follow-ups. The Journal of Nursing Scholarship found hypnotherapy patients twice as likely to remain smoke-fee after two years.